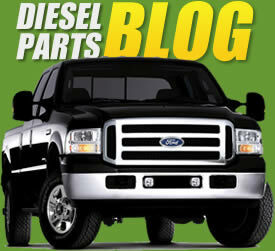 This upgrade kit is appropriate for 2003-2007 Ford Power Stroke Diesel 6.0L Applications. 1- SK627 Fuel Pressure Regulator Rebuild Kit "Blue Spring Kit"
Because the diesel fuel cools and lubricates the injectors on the 6.0L engine, operating the vehicle within recommended fuel pressure specifications (approximately 65psi or greater) is critical. Fuel pressure is one of the first things that should be checked when you begin to experience driveability issues. The TamerX TX2001-K kit includes everything you need to restore your fuel system back up to factory spec. The included blue spring is the newest design that brings your fuel pressure up to the latest OEM recommendation. The billet aluminum fuel filter cap is is a great replacement for the OEM plastic cap and includes a test port which allows for a fuel pressure test gauge to be attached in order to properly check the fuel pressure on the Ford Power Stroke 6.0L engine. The test port supplied isa diesel fuel rated Schrader valve. Both the test port and aluminum cap are made in the USA. The "Tear Drop" design high-flow banjo bolts will allow for maximum fuel flow to the diesel fuel injectors for Ford Power Stroke 6.0L diesel engine. The original banjo bolts on the Ford 6.0L Diesels have a check valve that is redundant. The fuel pressure regulator acts as the check valve. OEM Banjo bolts cause a restriction in the supply of fuel to the engine. Replacing the original banjo bolts with our updated SK613 bolt kit will help to improve your engine performance. As an added bonus, the USA-made upgraded solid brass HFCM (Horizontal Fuel Conditioning Module) drain plug with Viton o-ring simplifies water separator maintenance by allowing the use of a 19 mm wrench to easily remove the plug for drainage instead of the difficult Allen wrench used with the original OEM plug.